The Cajun Boudin Trail puts you on the path to discovering Louisiana’s best boudin and other regional specialty items, be they pork chop sandwiches, beef jerky, cheesy boudin balls, specialty sausages, cracklin, smoked meats, plate lunches, stuffed chickens, or chili dogs. 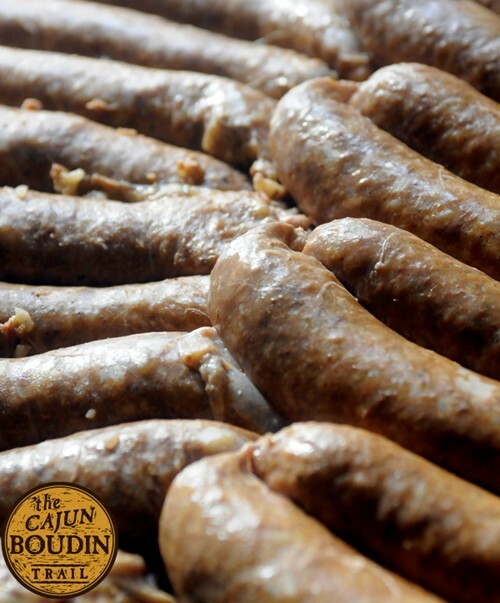 The area in and around Lafayette, Louisiana is the indisputable center of all things boudin. Lafayette even holds the annual Boudin Cookoff in October, where the top boudiniers come together to show off their skills. As you venture through the area seeking to sample the many varieties and unique recipes, the award-winning boudin masters of Cajun Country are happy to present you with the fruits of their culinary prowess. Of course, folks in Cajun Country don’t just hang their hats on boudin, and you should eagerly sample some of the other traditional and creative regional foods they’re baking, smoking, frying, or pouring. After all, when you head a little off the beaten path in search of authentic food, there’s no reason to stop for just one item.